There are a few #mb10k medals left at Village Runner, Manhattan Beach for those who placed top 10 in their Divisions. Kindly pick them up by this Sunday, November 12, 2017. Final official results can be found by clicking here. Monday-Saturday 10 a.m. to 7 p.m.
Don’t miss out on all the holiday fun and get some shopping taken care of in Downtown Manhattan Beach! At this time of year we are thankful for so many things. We’d like to show our gratitude for Village Runner, Manhattan Beach for their fundraiser that benefited the Mira Costa Cross Country Team. A generous donation was made to the team! We are also grateful to the Village Runner for providing a raffle to our race participants for a chance to win several gift certificates to their stores during bib pick-up last month. The lucky winners received either a $10, $25, $50 or a $100 certificate. Come in and claim yours today, they do not expire and they are good at both Redondo and Manhattan! The winners are: A. Velazco, M. Chittle, T. Johnson, B. Peterson, J. Kornreich, F. Kong, M. Marraffino, B. Stearns Lawson, A. Feria, S. Rigler, T. Suarez, K. Galley, R. Naylor, D. Cipressi Jr., S. Avellar, S. Karlin, S. Shannon. 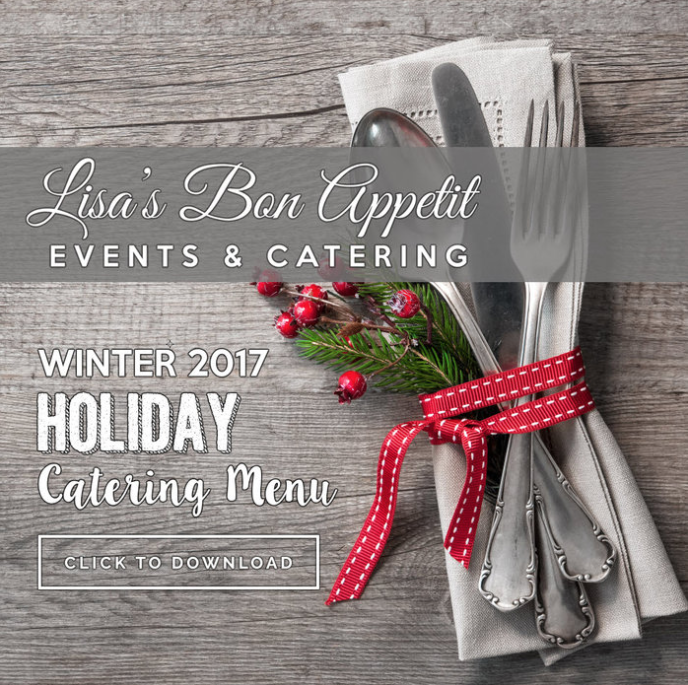 We welcomed a new sponsor this year at our race expo, Lisa’s Bon Appetit Events & Catering. They provided tons of yummy snacks after the race. Plan your holiday menu with them now! Click the image above to see their Holiday Catering Menu. We’d love to see pictures of you wearing your 2017 race shirt! Post them on social media and use #mb10k. We will share them on our social pages and help spread the #mb10k love! Reminder - our 40th Birthday gift to YOU is free photo downloads! Click here to see yours. Come celebrate our 41st Annual with us and run or walk - October 6, 2018 at 7:30 AM! You don't to want to miss it!